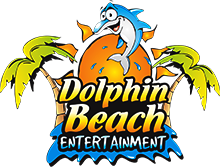 Make your next organized group function the best at Dolphin Beach Entertainment!!! Our group packages suit guests above 6 years of age and are available for a minimum of 15 guests. and see who’s got the best putting skills? 2x Free Admission Pass for supervisors included for every 20 full paying guests. All additional supervisors/spectators to pay the standard R10pp admission. Admission Passes has no slides included.